More often than not, credit is thought of as a bad thing. Having credit is automatically associated with debt, which can cause people to feel uneasy. However, some credit is necessary for things that are important in life, such as buying a car or applying for a mortgage to buy a house. When it comes to making these important purchases, you’re going to need a good credit rating behind you and putting yourself in the best financial position to get accepted. 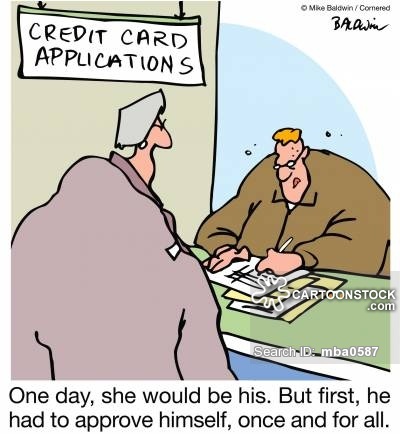 Concerned about your credit rating? Here’s how you can improve it ready to make those important applications. You’re unlikely to be accepted for a mortgage or a car loan if your existing debts are high. It’s a harsh reality but is something that is better for you in the long run. Before you even consider applying for a large amount of credit, you need to reduce your overall debt first. It will take you some time, but if you are disciplined and willing to work hard to save - you can clear your debt quicker. There are some good sources of advice to help you clear your debts, and you should use as many of these tips as you can to help you pay your debt off as quickly and as painlessly as possible. There are plenty of ways you can keep an eye on your credit score to help you stay on top of things. Some of the best credit rating agencies include free resources that will not only highlight where your most costly debts are - but tell you how to improve your score. It’s worth checking your credit score regularly as there can be some inaccuracies on your record. If you do find that there are things that don’t make sense or are no longer true (like an account you’ve shared with a friend or ex), then you need to have them removed from your account. Getting a real picture of your financial situation can be tough to take but once you take the plunge, you’ll feel much better - giving you a goal to work towards. Seeing your credit in black and white can also serve as a bit of a wake-up call, something that will shock you into changing your spending habits. Setting yourself a budget is a good way to stop you overspending and putting yourself into further debt. It can also help you to set aside money to clear your debts quicker, and help you secure some savings too. A budget doesn’t always have to mean cutting back. You might find that there are some things that you could be saving money on, such as insurance or your utility bills - that could free up cash without it affecting your lifestyle. However, it may not be a bad thing to change your lifestyle if you’re spending more cash than you’re bringing in. This will only make you stay in debt, scuppering your chances of being accepted for a large loan. When lenders assess your financial position, they won’t just look at your credit rating. They will want to see how you currently manage your finances, and whether there’s any wiggle room should interest rates increase. Showing that you can live within your means while putting money aside at the same time will help you to demonstrate that you are a responsible individual when it comes to money. If you have a lot of credit cards, missed payments or you only repay the minimum amounts each month - it’s likely that you have a poor credit rating. Having a lot of debt doesn’t automatically equal a bad credit rating, it’s what you do with it that matters. Being able to pay your bills on time, avoiding maxing out your limits and not having too many new credit accounts will all help boost your credit rating and make you a more desirable candidate for a loan. Another way to boost your credit rating is to actually use credit. They say that you should aim to use up to 30% of your available credit to help you show that you can use it responsibly. If you’ve been refused credit or your score comes up as bad, try a company that specializes in lending to those with bad credit like Really Bad Credit Offers, who might be able to offer you a good deal on a credit card. Use it to spend money on things like groceries or your monthly travel for work, and make sure that you repay the full amount each month. This shows responsible spending and will help your credit score to creep back up to a good place. Lenders will want to keep a close eye on your spending habits to see where your money goes each month and whether or not you’ll be able to cope with hikes in payments. If you love to shop, go to bars or spend money on a lot of non-essentials (hair appointments, smoking, etc. ), then it might make sense to start withdrawing cash to spend instead. Giving yourself a weekly spending limit will give you something to stick to. If you leave your cards at home and just take cash instead, you’ll be less likely to overspend, and there’ll be fewer questions raised about your spending habits. Save your plastic for when you really need it, and start getting into the habit of only carrying cash with you. If it helps, this useful guide will advise you on how to use your credit card responsibly, detailing the occasions where it’s wise to use a credit card. Getting rejected for credit isn’t the nicest feeling. It also makes you more likely to try for credit again quickly, something that can have an affect on your credit rating. Having too many applications made within a short amount of time can make your situation seem a bit desperate to lenders, but will also bring your score down unnecessarily. Doing some thorough research about your available credit options will help minimize your risk of getting rejected and stop it affecting your credit score. Top credit bureaus will have facilities that can help you work out your likelihood of being accepted for credit before you make a formal application. They do this by carrying out a ‘soft search’ rather than a hard search that will use some of the financial details you provide to see what sort of credit you’d be eligible for. Choose the options with the likeliest approval percentage, provided they don’t come with a huge interest rate. Make your applications based on these details to help you avoid being rejected. Getting yourself into a good position to apply for credit is a sensible way to approach a car loan. Like applying for college or a job, you need to prepare in advance to make sure you’re considered an appropriate candidate. It may take some time to get your financial situation into a good place, but it will be worth it when you get there. If however, you’re struggling with your finance and repayments, it’s worth exploring the options available to you to help you manage debts and get yourself out of serious financial trouble. Taking control of your finances is a good step forward at any stage in life, and you should take advantage of the different help that is available to you to help you get there.